A 32-year-old man has appeared in court charged with the murder of a Limavady man who died four days after he was attacked in the town. 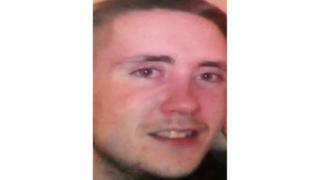 Darren McGurk, 23, was assaulted at Glenbeg Walk in the County Londonderry town, at about 18:00 GMT on Wednesday. He suffered a serious head injury and was taken to hospital on Thursday, but he died on Sunday morning. Karl Mark John Watson from Glenview Drive in Limavady appeared at Coleraine Magistrates Court on Monday. Mr Watson, who was initially charged with grievous bodily harm before Mr McGurk's death, is also accused of attempting to pervert the course of justice. The defendant spoke only to confirm he understood the charges against him. A PSNI detective constable said she believed she could connect him to the offences. A defence solicitor said there would be no bail application at this stage. He added that his client's family have asked that their sincere condolences are extended to the McGurk family. Mr Watson was remanded in custody to appear on 15 April.